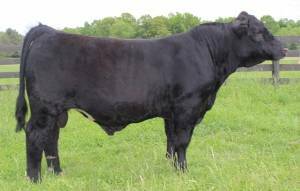 DSC SimShorthorn is moderate framed exhibiting tremendous style and clean lines while packed with a lot of natural muscle and thickness. 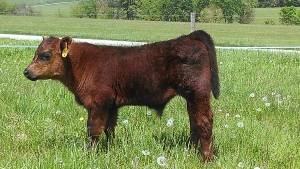 SimShort is dual-registered Simmental 50% and Shorthorn Plus 50% with a tremendous pedigree to back him up. He is a calving ease sire, docile in nature, and will inject some style, performance, and quality into his progeny!